USB CCTV wireless security cameras are both affordable and easy to install which makes them an ideal choice for security and surveillance monitoring both in the home and at the office. USB CCTV wireless security cameras utilize a personal computer as part of the security system. USB CCTV wireless security cameras is an abbreviation for Universal Serial Bus Closed Circuit Television wireless security cameras. These cameras do not require a coaxial cable for transmitting their video images to a processor or personal computer. This makes USB CCTV wireless security cameras an excellent choice for both the home and office, especially when cabling would look undesirable. Wireless security cameras operate by sending their video data via on-board antennae. Most cameras utilize the 2.8 or 5.8 MHz radio spectrum band to transmit their data. Although transmission is via line of sight or LOS data can usually be easily transmitted through walls and other structures but with limited range. Line of sight means the range of transmission is based on the distance between the camera and the receiver with no blockages. In other words, the range given for the wireless camera is based on the length of line of sight between the two. If something blocks being able to see the receiver from the point of the USB CCTV security camera for example, the range could be reduced. Still these cameras have incredible range capabilities of several hundred feet. 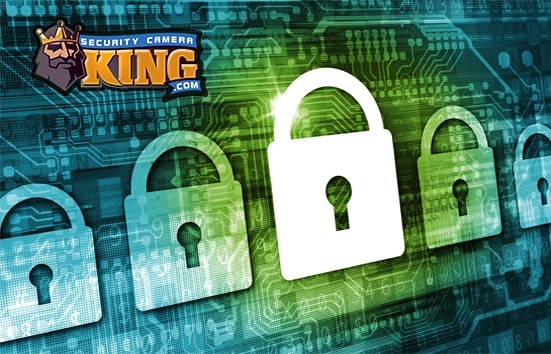 Most wireless security camera systems have a receiver that transfers the cameras received signal to a processor or a capture board. The processor or capture board interprets the data sent to it by the receiver and creates a digital video file that can be viewed on a monitor and stored on a Digital Video Recorder or DVR. Often a CODEC or COmpression/DECompression software or circuitry is used to reduce the size of the digital video file while maintaining high video quality. 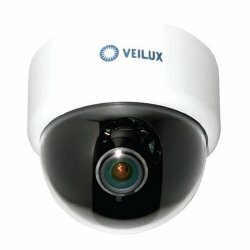 In addition to the cameras and receivers, non-USB wireless security camera systems either require the additional purchase of a processor, monitor, and DVR or require some other connection method, often involving the addition of a special card, to a personal computer. USB CCTV wireless security cameras utilize the USB port on a personal computer to connect to the computer. In addition, they normally come with software that processes the digital video signal and allows you to use your computer as the processor/CODEC device, monitor, and dvr storage unit. As you can see, this not only makes these systems easy to install, but reduces the cost by eliminating the expense of purchasing an additional processor, monitor, and DVR. The computer monitor can be used to view the video, either live or from stored digital files. The DVR is just like the personal computer’s hard drive disk, so the computer’s hard drive can be used to store the files. If archiving or transferring the files is necessary, you can use your personal computer’s CD/DVD writer or USB flash drive to copy the files. USB CCTV wireless security cameras provide video at the same resolutions available as stand alone units. Cameras normally capture video in full color under visible light conditions and in black and white or monochromatic under infrared light recording. The cameras in this system use either a Charged Coupled Device or CCD or a Complimentary Metal-Oxide Semiconductor (CMOS) to capture the light transmitted through the lens into electrical energy. This energy can be interpreted and converted into high quality video. Due to modern technological advances, these sensors can be highly sensitive to light and produce images in very low light conditions. In addition, CCDs are inherently sensitive to near infrared radiation which makes them excellent for use as night vision infrared video cameras. As you can see, USB CCTV wireless security cameras offer the versatility of using them just about anywhere and can be easily operated using a typical personal computer. In addition, there affordability makes them an excellent choice especially for home or residential use.